Rare Replay is out today: 30 games for $30! Are you looking to beef up your game collection for the Xbox One? How does thirty games for thirty dollars sound? If you want some serious bang for your buck, be sure to pick up Rare Replay for the Xbox One today! Rare Replay was announced during Microsoft’s E3 press conference this summer and surprised just about everyone. The reception to the announcement was incredibly positive, especially after the price was announced. Considering most HD remakes or re-releases tend to sell for $60 while only including two or three titles, very few expected a collection of thirty games to be priced at half that. 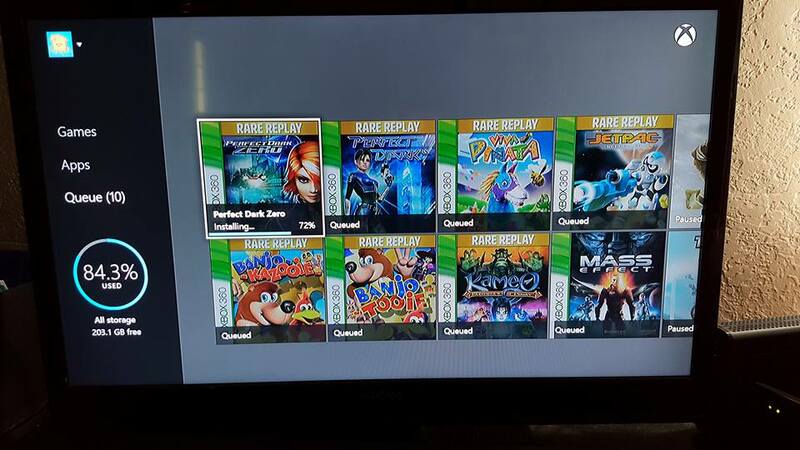 Notable titles in the Rare Replay collection include Battletoads, Banjo-Kazooie, Perfect Dark, Viva Piñata and Conker’s Bad Fur Day. The collection spans twenty five years featuring titles released between 1983 and 2008. Rare Replay also features over 10,000 achievement points, however it’s worth noting if you’ve previously earned achievements from the games released on the 360 you cannot double dip. I’ve played very few of the titles featured in the Rare Replay collection so I’m excited to try out most of the games for the very first time. I’m currently downloading the games that aren’t bundled in the download of the collection itself and once they complete I’ll have to figure out which game to jump into first. 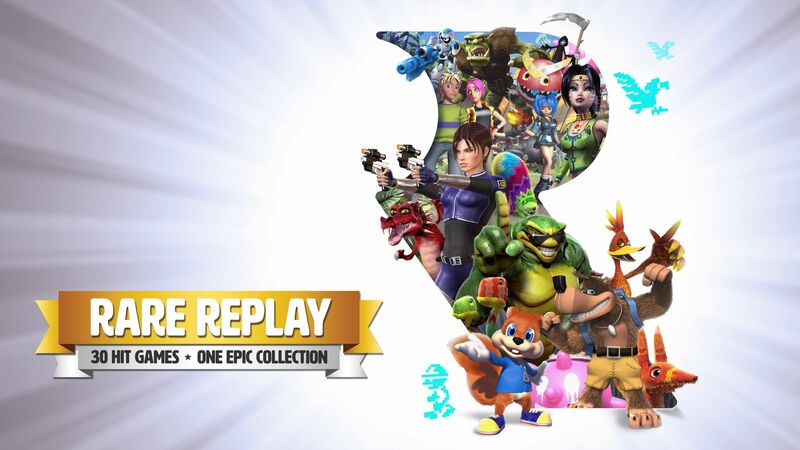 Are you going to check out the Rare Replay collection? Which of the games featured are your favorites? Which do you recommend I check out first? This entry was posted in Video Games and tagged battletoads, Best value xbox one games, Rare, Rare Collection, Rare Replay, Rare Replay collection, video games, Xbox, Xbox One. Bookmark the permalink. Fallout Shelter: Why am I playing this? The two Viva Piñata games were highly addictive and had my whole house hooked when we had the 360 originally. They’re immersive though and you’ll find yourself wasting a lot of time trying to get flutterscotches to romance dance. Ha ha. Battletoads is a must.